Item Number: 358-9-03B 19585 Actual Weight: 2.5 lbs. 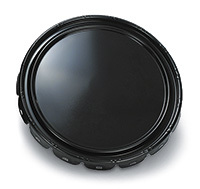 Safely stores, ships and transports standard or hazardous materials. 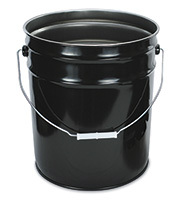 Non-UN rated pail has rust inhibitor lining to protect pail interior. Empty pails nest easily for storage. 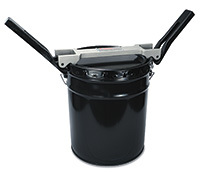 Crimp lid with tool to seal cover onto pail. Crimping tool available (Item Number 358-10-02). Crimping tool makes non-UN rated seal. Call for details about UN rated crimping tool.